ArticlesHoney Kart – quits Wipro to become a beekeeper! 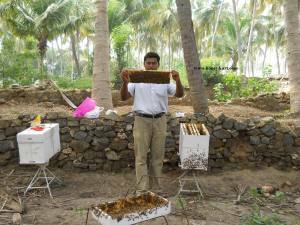 Honey Kart – quits Wipro to become a beekeeper! Once a software engineer now a beekeeper, turns down promotion and onsite job in United States for entrepreneurship! 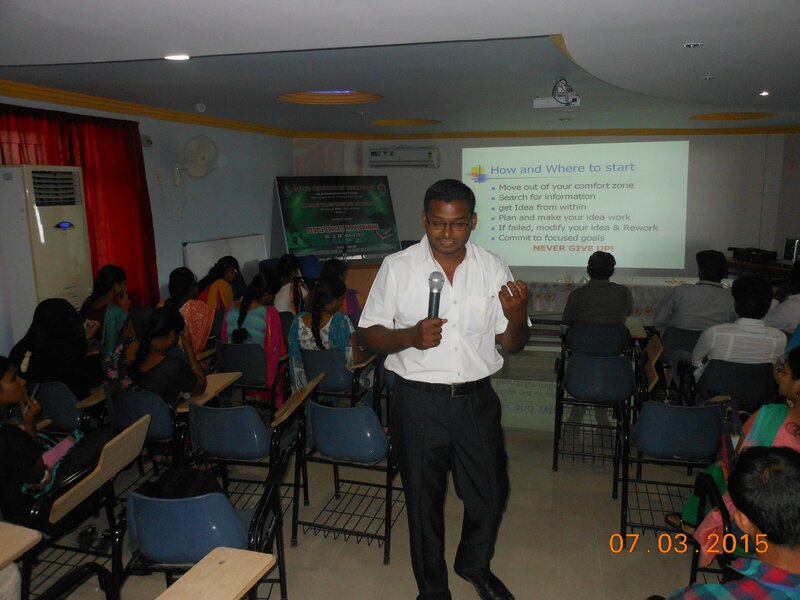 “I was a software engineer in Wipro Technologies, Bangalore. I resigned my job to do beekeeping at my home town Karur District, Tamil Nadu. I produce the rarest form of uni-floral honey products and sell it online through my own website www.honeykart.com,” says Mr. Krishnamurthy Sanaparatti Palanisamy, Founder. Mr. Krishnamurthy is a 2007 engineering graduate in communication. He worked with Wipro Technologies as a programmer. After working for two years, he was offered a promotion and onsite job in United States. “That was the day, I took the toughest decision to quit the job, return home, and become an entrepreneur,” he says. Bitten by the entrepreneurship bug Mr. Krishnamurthy did one year vigorous search and then decided to produce and sell honey, “I found that beekeeping is very important for agriculture, horticulture and forestry but it wasn’t practiced properly in Tamil Nadu,” he adds. This was the beginning of his life as a beekeeper. Honey Kart was established at Aravakuruchi Taluk, Karur District,Tamil Nadu with the capital investment of Rs. 3 lakhs funded by his friends Krishnaraj, Arun and Prabhu. Business that looks rosy after its profits are revealed surely is full of thorns during its initial start and so was it for this scientific beekeeper. “3 years ago, my first year in beekeeping was very tough. I didn’t even earn a single rupee. I found many problems in bees and was not able to solve it immediately,” he shares. None of information received from beekeeping experts, whom he met in person help to solve the problems. With a ‘not-to-give-up attitude’ Mr. Krishnamurthy took to internet and contacted beekeepers within and outside India. He gathered lot of tips from internet and steadily solved all the problems in beekeeping one by one during each seasonal change. “Now I have disease free colonies working at its best, which is important to produce high-quality honey,” he adds. It is the natural behaviour of the bees not to transfer pollen from male flower of one plant variety to female flower of other plant variety and vice versa. “I use this behaviour of bees to collect honey from same flora by keeping the hives in the vast cultivation of single flora,” he says and adds, “When sufficient honey (bee flora) is made available from a single floral variety plants, the bees will not go to other flora until the nectar secretion of the existing flower is stopped.” This helps in producing unifloral honey. Special benefit is, “When ayurvedic medicines are taken along with the unifloral honey it gives best results. Most of my customers are taking ayurvedic medicines and are quite happy with the outcomes,” he claims. Other than unifloral honey variants Mr. Krishnamurthy’s another innovation is ‘honey for babies less than 12 months age’. He informs, “This honey is collected from new combs and extra care is taken for processing; hence it is resistant to all sorts of allergies or side effects in babies.” Honey for Babies can be made from any flowering plants with only one requisite that the honey comb should be newly constructed by the bees. “This honey is obtained in the beginning of honey flow season where the bees make new combs for the next one year,” he informs. Honey production depends on the bees’ strength. “I will collect 6kgs in 6 days from one hive provided enough bee flora is available. The raw honey collected is processed later. Usually Mr. Krishnamurthy processes 200 kg/day. He stores the processed honey in cans and based on orders the honey is packed in glass or food grade pet bottles. Beekeeper recommends to the consumers to store honey in air-tight jars. Shelf life of packed honey bottles is 5 years while once opened it stays for 2 years. Commonly honey is packed in 250 gms bottles but courier packing (for home delivery) is completely different. All honey products are sold through company’s website www.honeykart.com and Facebook page www.facebook.com/honeykart. Website provides details on health benefits of each unifloral honey. Approximate cost of unifloral honey is Rs. 716/kg. Honey for Babies is priced more. Buyers can even opt for home delivery option within India. “Most of customers are from Bangalore and Chennai. Due to my honey quality, 90% of buyers become regular customers,” he informs. Technical training on beekeeping is also provided on nominal charges.